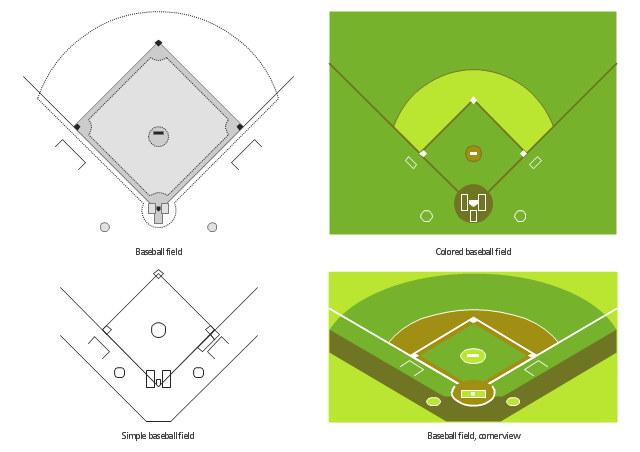 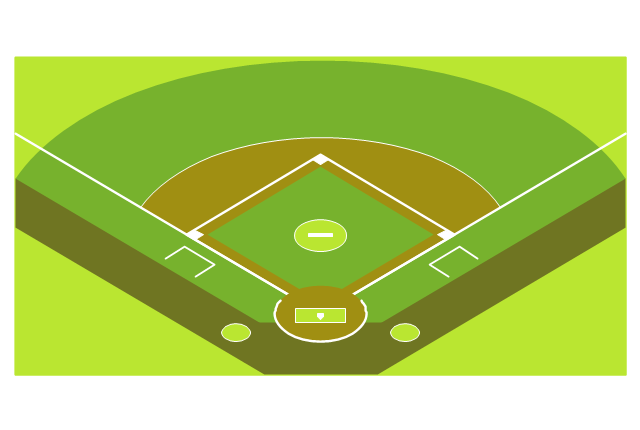 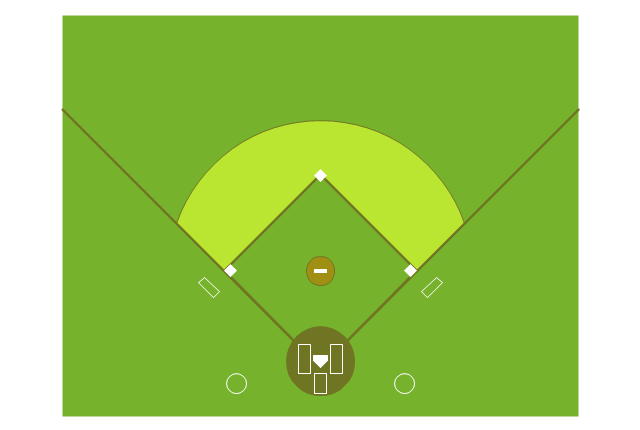 The vector stencils library "Baseball fields" contains 4 shapes of baseball fields. 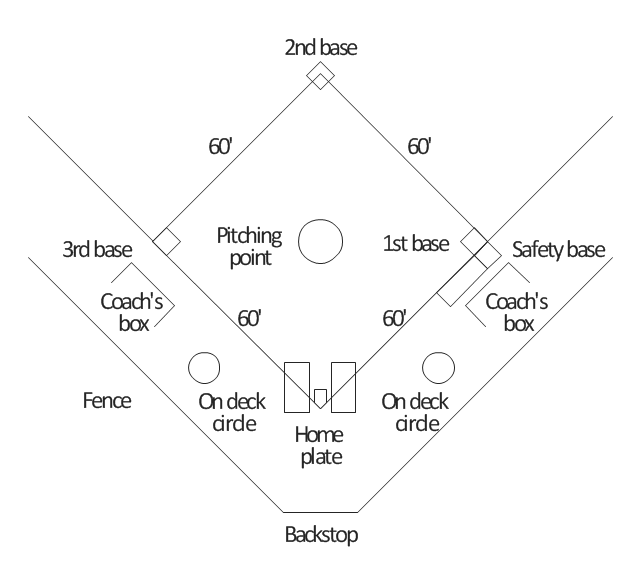 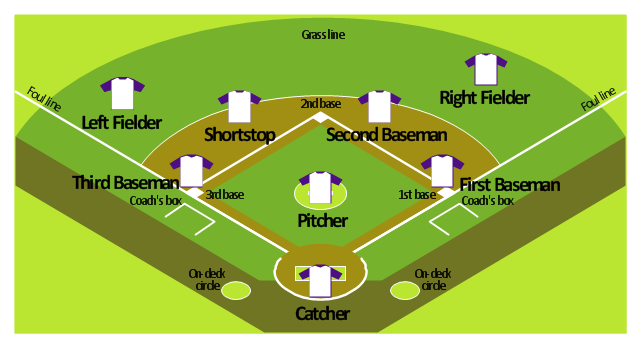 "A baseball park, also known as a ball park, ballpark, or baseball field, is a venue where baseball is played. 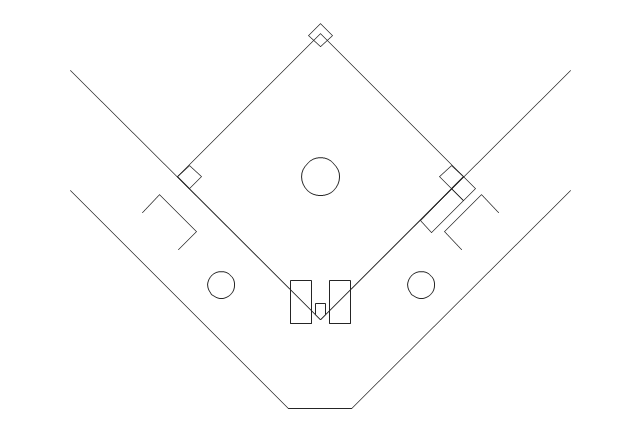 It consists of the playing field and the surrounding spectator seating. 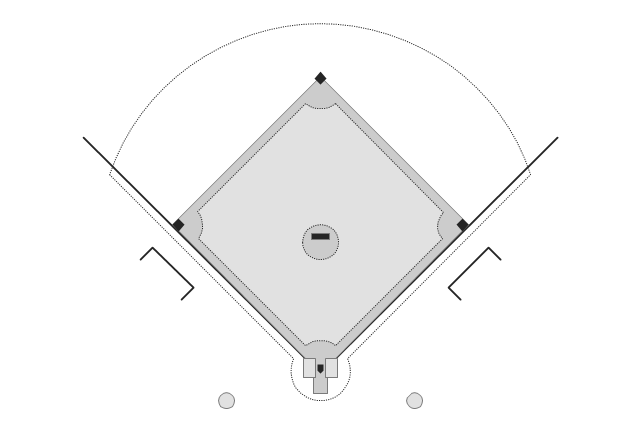 While the diamond and the areas denoted by white painted lines adhere to strict rules, guidelines for the rest of the field are flexible.